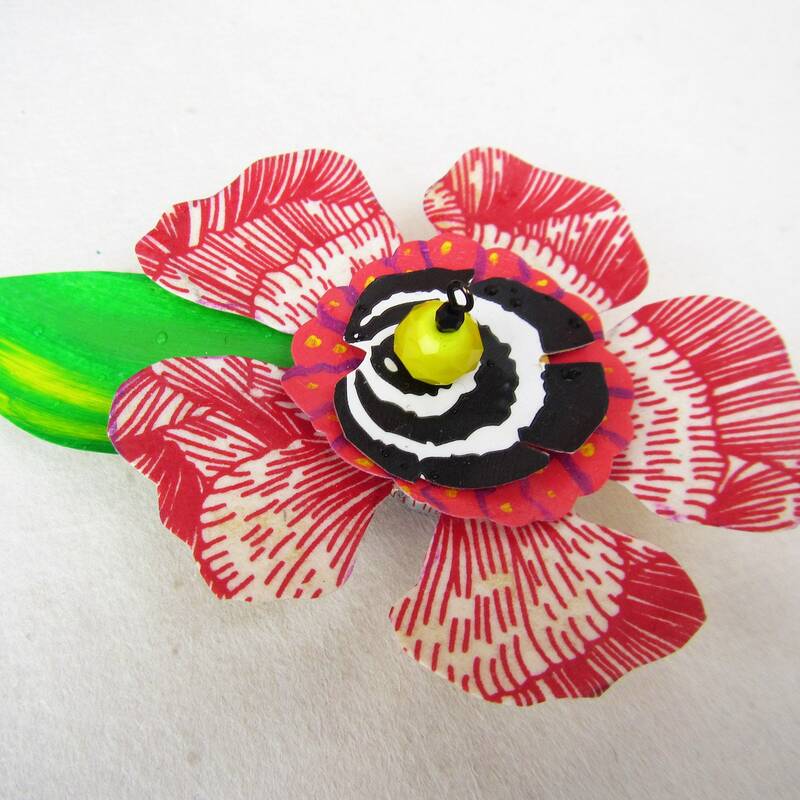 Add some flair to your refrigerator with a funky flower magnet! 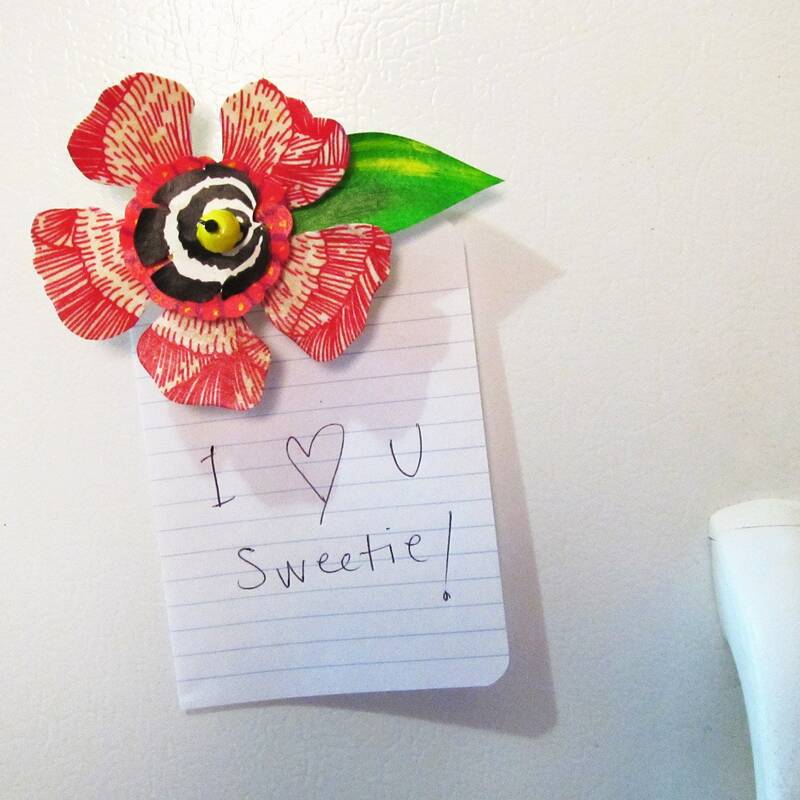 Use one of these to surprise your sweetie with an extra-special note on the fridge. 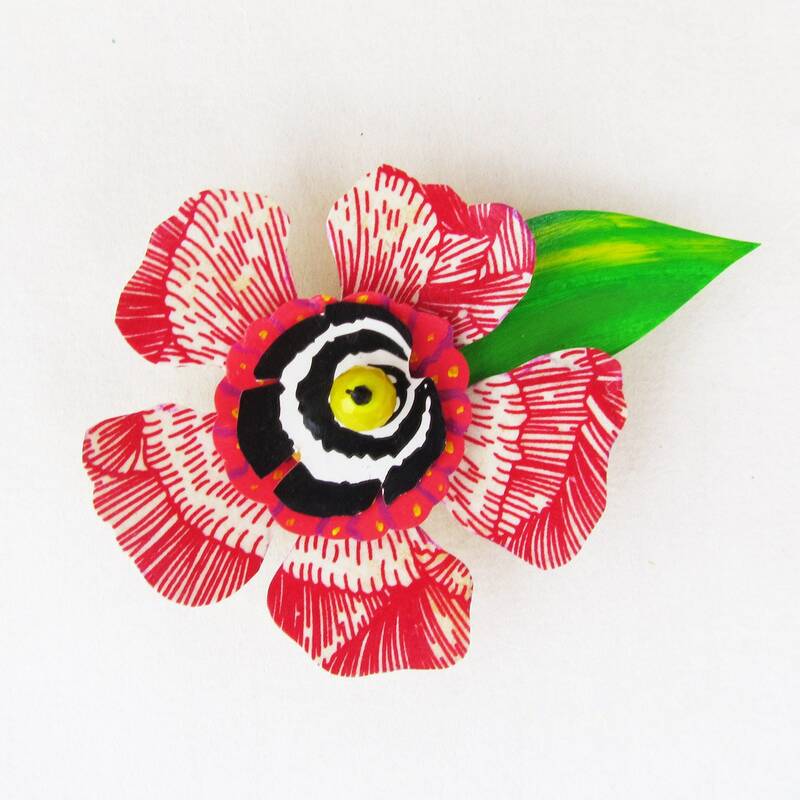 Flowers are made from layers of hand-cut decorative paper, hand-painted acrylic elements and beaded embellishments. Each is sealed with gel medium to make it stronger and moisture-resistant. 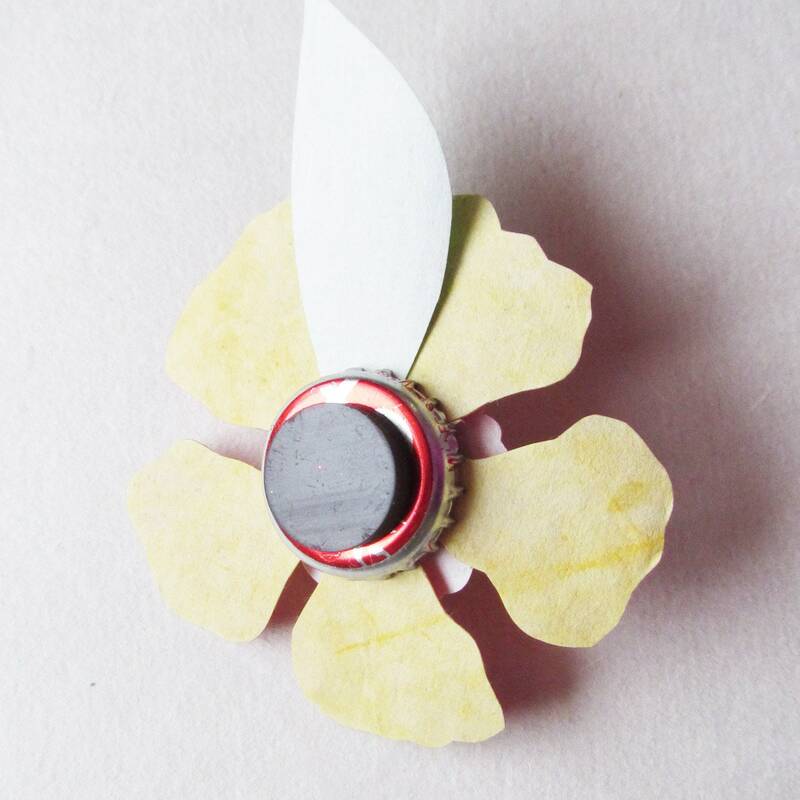 A bottlecap provides the backing. 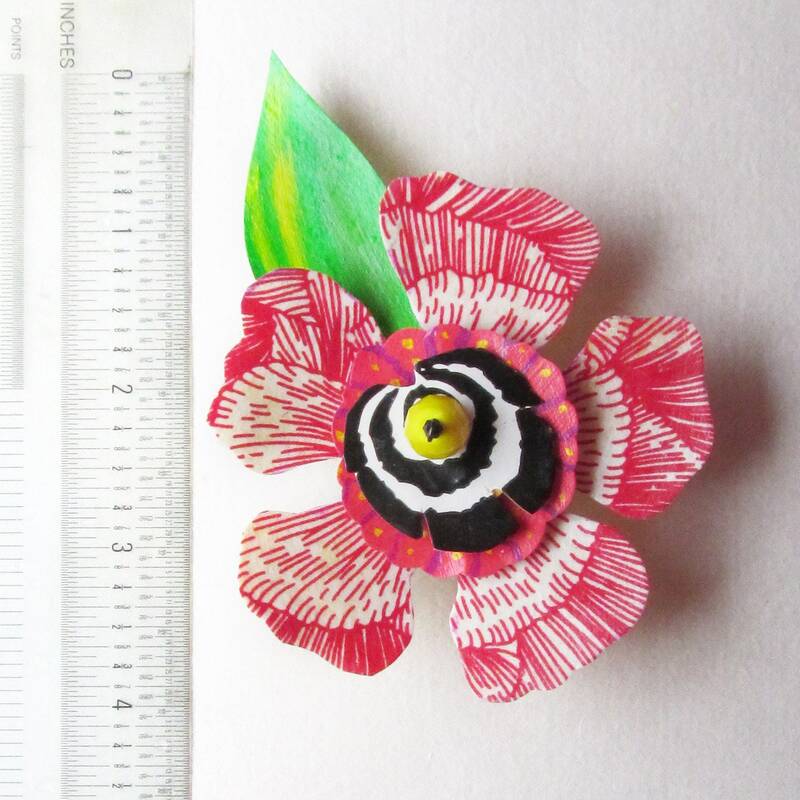 Measures roughly 4" across.